Also please note you need ORIGINAL SIM or TEST SIM to Enter the Code. When enter you must differentiate uppercase and lowercase letters. How to enter NCK code? 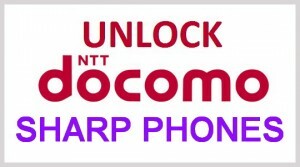 How to Enter Unlock Codes on SHARP cellphones. 4. Insert ORIGINAL or test SIM Card.